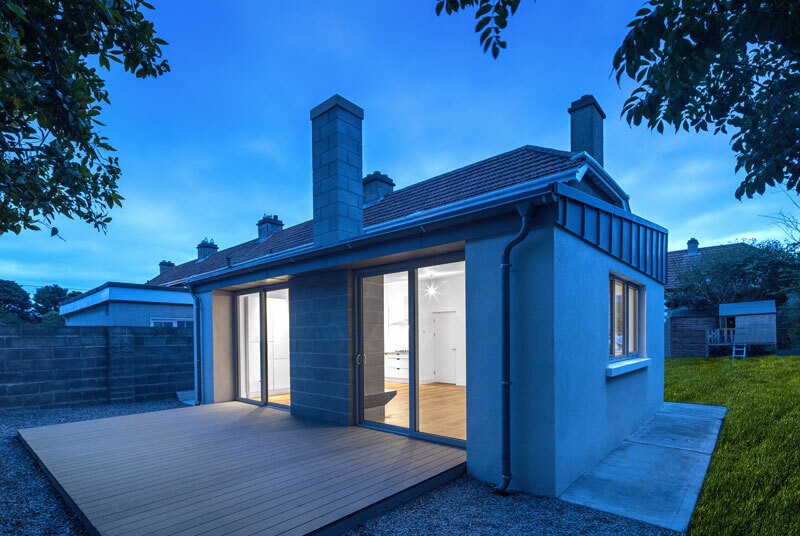 Extension and partial refurbishment of an existing end of terrace house, Dun Laoghaire, County Dublin. 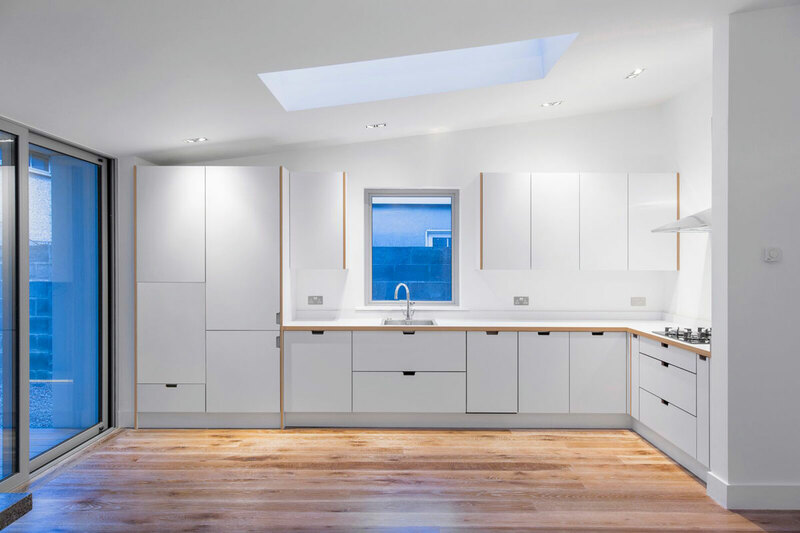 This existing kitchen space was too small for client requirements. 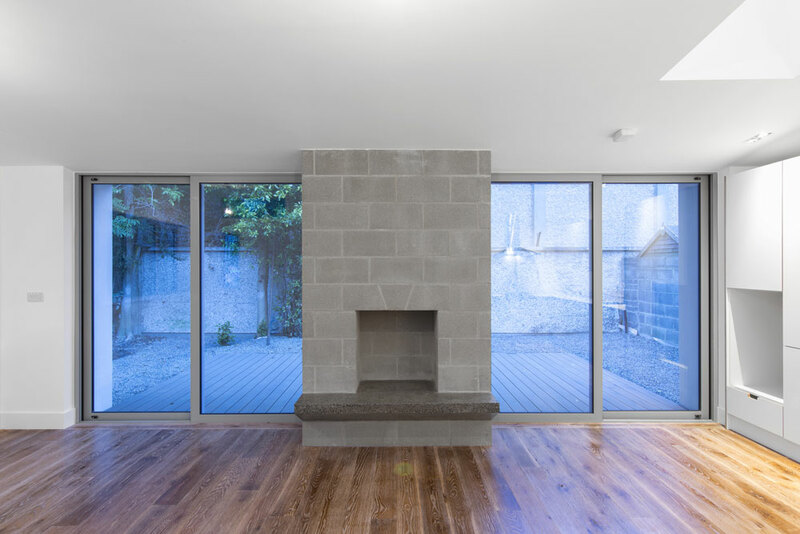 The extension was designed to incorporate exposed materials to match the style of the existing house. 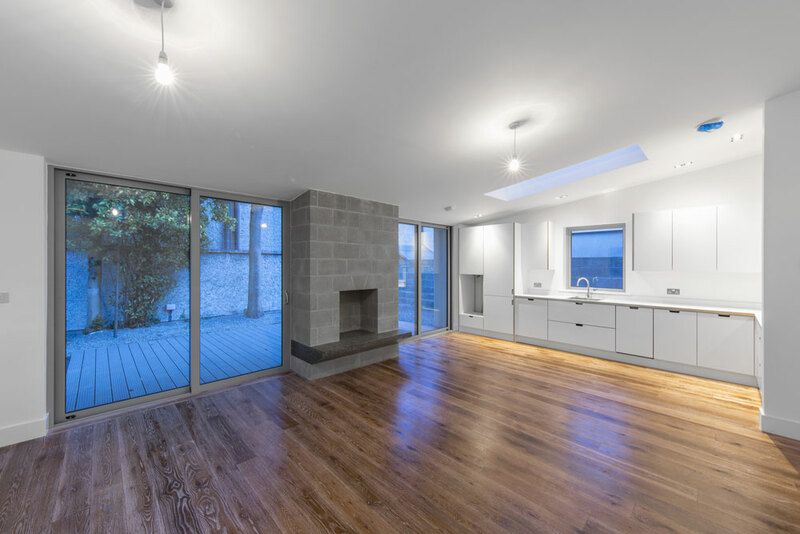 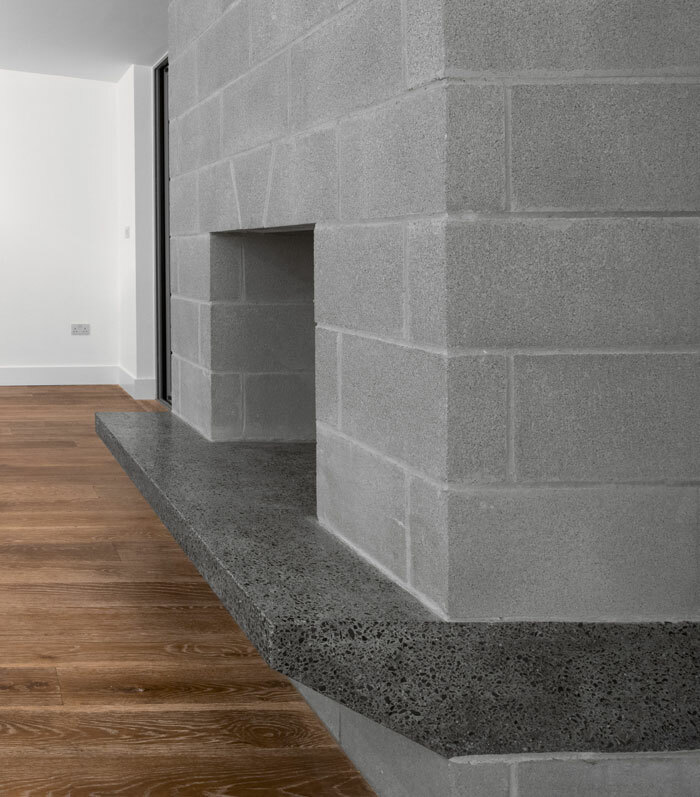 This included a laminated birch plywood kitchen, reclaimed American oak floor, cantilevered polished concrete hearth and exposed fair faced blockwork. 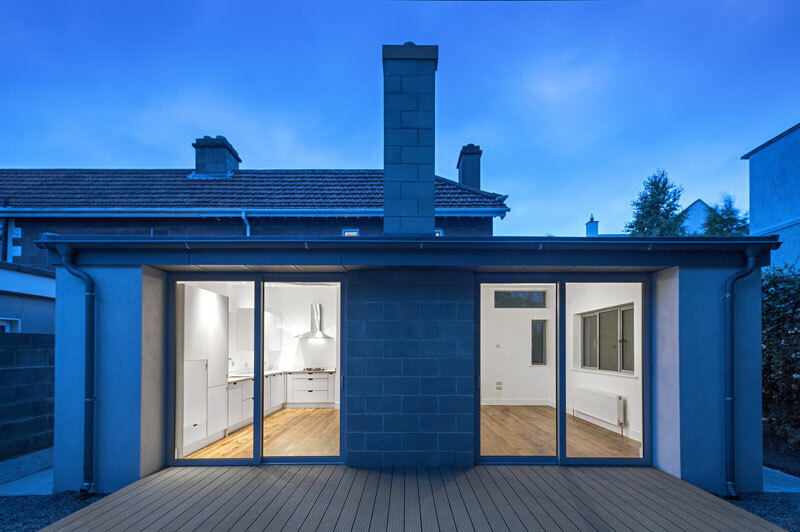 The new footprint projects out from the existing gable to maximise available solar gain.